IDBI Bank Recruitment 2019 – IDBI Bank announced for 120 Specialist Officers for different Branches across the country. The detailed eligibility and application process are given below. Candidates can also try Axis Bank Recruitment-Assistant Manager. Graduation (B.E./ B.Tech) in Electronics & Telecommunications/ Computer Science/ Electronics & Electrical/ Information Technology/ Electronics & Communication OR Graduate with Post-Graduation in MCA from a Recognized University. B.E./ B.Tech. OR Any Graduation from a Recognized University. Graduate with Post-Graduation in MCA (Full time) from a University/ Institute recognized by Govt. of India or its Regulatory Bodies. GM/DGM/AGM/Manager (Treasury): MBA/ CA / CFA /Post Graduate in Commerce / Economics or Degree with adequate Treasury Professional Diploma / Certificate. Masters degree of a recognized university in any subject with Hindi medium and English as subject at the degree level. Manager (Legal): Degree in Law (3 years / 5 years) from a recognized University in India with a minimum of 50% marks or equivalent in the aggregate of all semesters/years. Manager (Security): Graduate from recognized University or equivalent. The selection process for all posts will comprise of preliminary screening based on the eligibility criteria, candidate’s qualifications, suitability/experience, etc. submitted online. Only such candidates will be called for Group Discussion (GD) and/or Personnel Interview (PI). 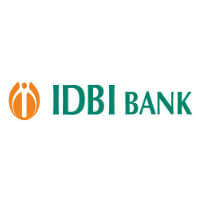 How to apply IDBI Bank Recruitment for SO?